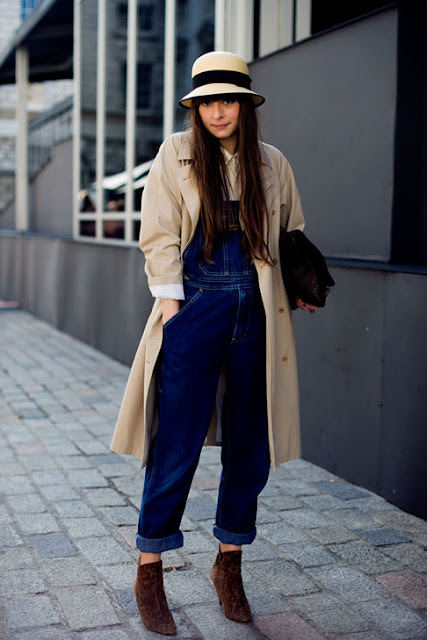 The Well-Appointed Catwalk: The Return of Overalls? The last time I wore overalls was in high school when my tennis team would dress alike on match days. Even then, I didn't own any; I had to borrow a railroad-striped denim pair from my doubles partner. But now it seems overalls are coming back in a major (albeit slightly frightening) way - and not just from the safe distance of the runways. Elizabeth and James is featuring a leather pair for fall 2010, and Alexander Wang's surprisingly good-looking version is currently available at SSense. Even J. Crew has jumped on the overalls bandwagon with a classic denim pair for spring. I'm off to New York tomorrow, and I'll let you know via Twitter what I see. But without a trip to Brooklyn, overall sightings seem pretty unlikely.